I’ve been tired lately. Whenever I come home from school I want to put on my pajamas and sit on the couch. I don’t want to think about anything especially making dinner. Unfortunately since I’m the one that usually makes dinner that isn’t an option most nights. 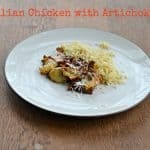 Sometimes I just want something that is quick, easy, and comforting. Normally that means a pasta dish. My favorites are just plain old buttered noodles or spaghetti with marinara sauce. Other times I’m looking for something easy but still comforting. 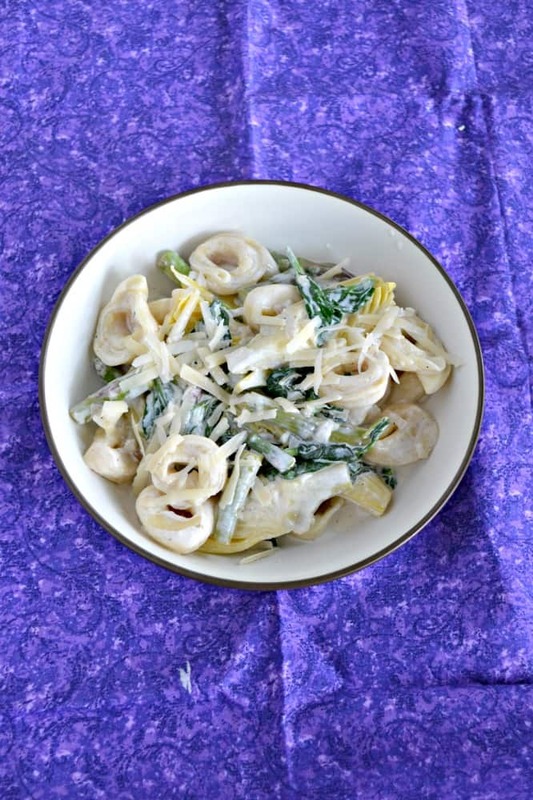 That’s where this Spinach Artichoke Tortellini dish comes in. 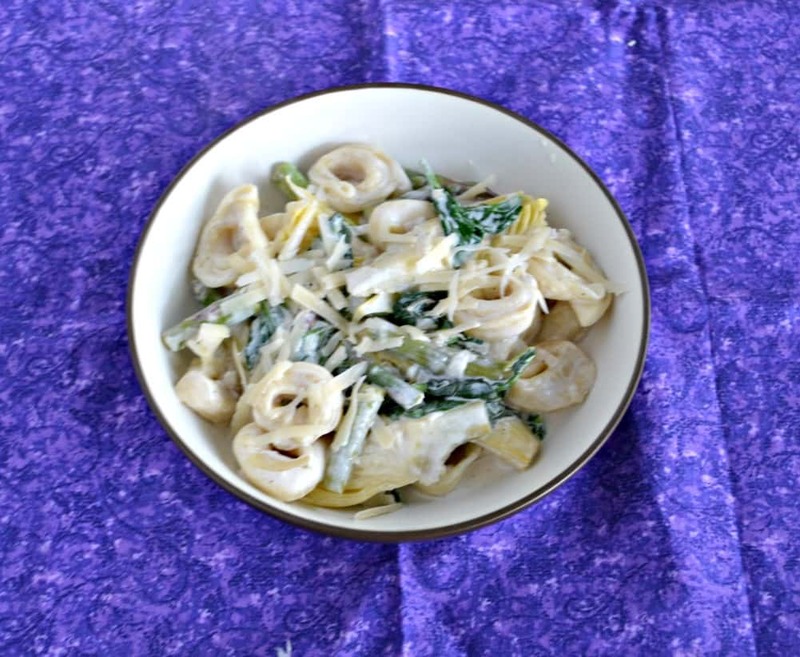 I love making tortellini because it’s so filling and it only takes a few minutes to cook on the stove. Then you can top it with a variety of sauces. 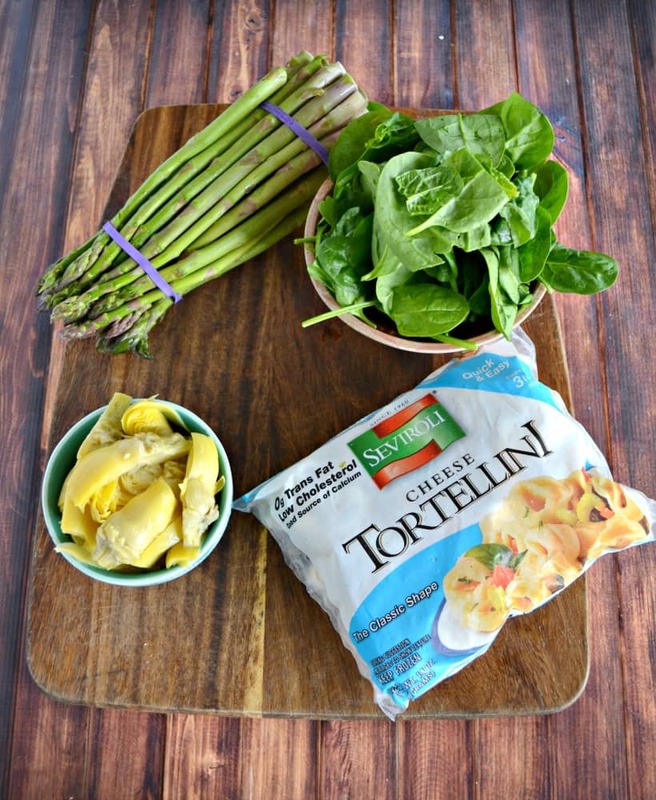 In this case the tortellini is tossed in a creamy lemon sauce along with fresh spinach, artichokes, and asparagus. 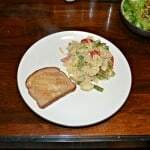 I like it because the cream sauce is light and the dish is packed with vegetables. So while it’s comforting dish I’m still getting some “good for you” ingredients in it. I loved the flavor of this dish. The cream sauce wasn’t heavy and it had a light cheese flavor. 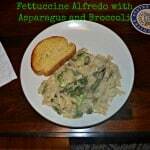 The artichokes added a bit of acid while the spinach added flavor and color. I served it with a side of garlic bread and dinner was served! 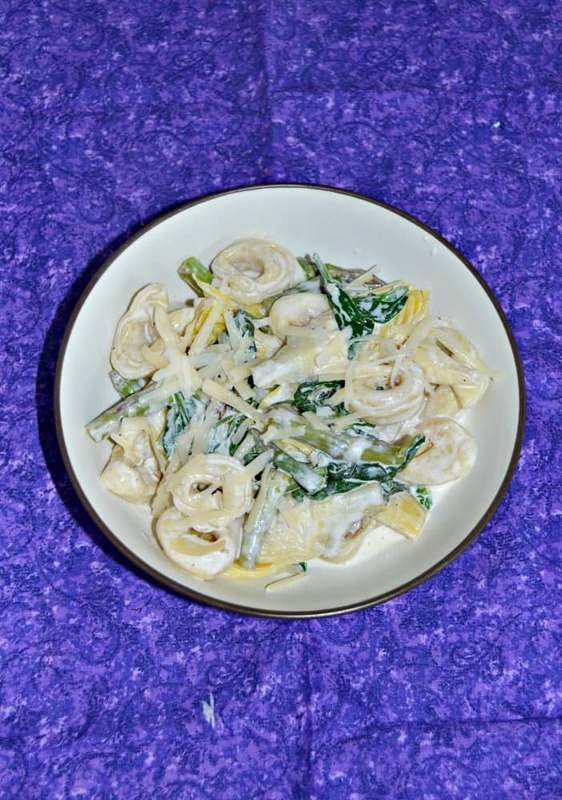 Enjoy a quick and easy tortellini dish topped with a light lemon cream sauce and spinach, artichokes, and asparagus. 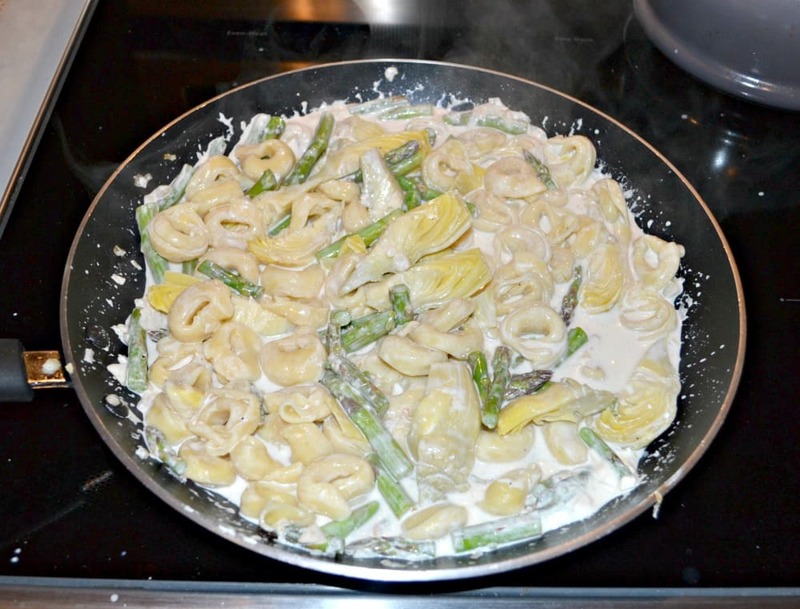 Cook the tortellini according to the package directions, reserving 1 cup pasta water. Heat the oil in a pan over medium high heat. Add the garlic and cook 1 minute. Add the shallots and cook for 3 minutes. Add the asparagus and cook for until it begins to softened, about 3-4 minutes. Stir in the cream cheese and cook until just melted. Add in reserved pasta water, lemon juice, and salt. Stir to combine. 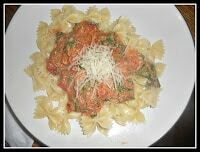 Turn the heat down to medium-low and add in the artichokes and tortellini. Cook until heated through. Add in spinach and cook for 1-2 minutes or until it starts to wilt.